Most foster parents are familiar with the acronym GAL, but there’s another similar-sounding acronym which can be helpful to know: TAL. What is TAL? TAL stands for Transition to Adult Living, and as the name implies, TAL resources are available for foster children ages 14 and over to help them make the transition to adult living. Did you know that each region has its own TAL Coordinator who can help parents find resources to help youth in their care more easily make the transition to adulthood? “TAL resources can be used by young adults age 14 and above who are currently in foster care placements. 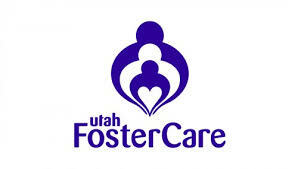 Young adults who have been adopted however, may still qualify for after care support. Any individual who was in care for 12 months passed their 14th birthday and was adopted or adopted at any time after their 16th birthday regardless of their time in care is eligible for these services up until their 21st birthday. To find the TAL Coordinator in your region, contact your nearest DCFS office. Adoption Specialists in each region can also refer families to a TAL Coordinator.